The Hay Barn, Ash Farm Barns in North Willingham, near Market Rasen sleeps 4 people. These delightful and tastefully refurbished barn conversions maintain many original features and are set in the heart of The Lincolnshire Wolds, an Area of Outstanding Natural Beauty. On the edge of the village of North Willingham, these holiday properties (refs 26724, 29579 [Wagonners Barn], 26726 [The Old Dairy], 25589 [The Granary Barn], 26477 [The Loft]) offer coarse fishing on the farm lake and also provide an excellent base for exploring. Just 3½ miles from Market Rasen with its world famous racecourse, excellent range of restaurants, pubs, shops and market. Horncastle is renowned for its antique shops and is only a short drive, as is the unspoilt Georgian town of Louth with two busy market days a week. The Saddles (ref 26725 [The Saddles]) and The Bridles (ref 26718 [The Bridles ]) can interconnect to sleep up to 4+4 people. Shops, pub and restaurant 4 miles. All properties: Oil central heating, electric, bed linen and towels included. DVD. Electric cooker. Microwave. Dish washer. Wi-Fi. Shared use of landscaped grounds with furniture. Natural water supply from spring. No smoking. NB: Pond and drops in grounds. These delightful and tastefully refurbished barn conversions maintain many original features and are set in the heart of The Lincolnshire Wolds, an Area of Outstanding Natural Beauty. On the edge of the village of North Willingham, these holiday properties offer coarse fishing on the farm lake and also provide an excellent base for exploring. Just 3½ miles from Market Rasen with its world famous racecourse, excellent range of restaurants, pubs, shops and market. Horncastle is renowned for its antique shops and is only a short drive, as is the unspoilt Georgian town of Louth with two busy market days a week. Shops, pub and restaurant 4 miles. Ground floor: Living room with double sofa bed, French doors/kitchen with beams and wooden floors. Shower room with toilet. Mezzanine with double (5ft) bed and en-suite shower room with toilet. Woodburner in living room (initial fuel included). Travel cot. High-chair. Freeview TV. CD. Shared laundry room with w/machine and t/dryer. Fridge/Freezer. Wi-Fi. Lawned garden with patio and furniture. Barbeque. Parking (2 cars). Cycle store. Welcome pack. Holidays at The Hay Barn, Ash Farm Barns run from Saturday to Saturday. For a better idea of where Ash Farm - The Hay Barn is, you can see Ash Farm - The Hay Barn on the map below. 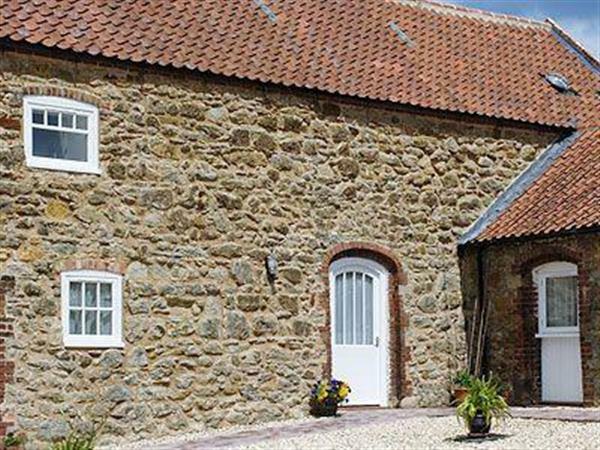 Ash Farm - The Hay Barn is in Lincolnshire; should you be on the lookout for a special offer, you can find all the special offers in Lincolnshire. It's always worth checking to see what is on offer at the moment. Do you want to holiday near Ash Farm - The Hay Barn (26724), you can see other cottages within 25 miles of Ash Farm - The Hay Barn; have a look to find your perfect holiday location.